Karla Gudeon's Studio — What's Your Story? 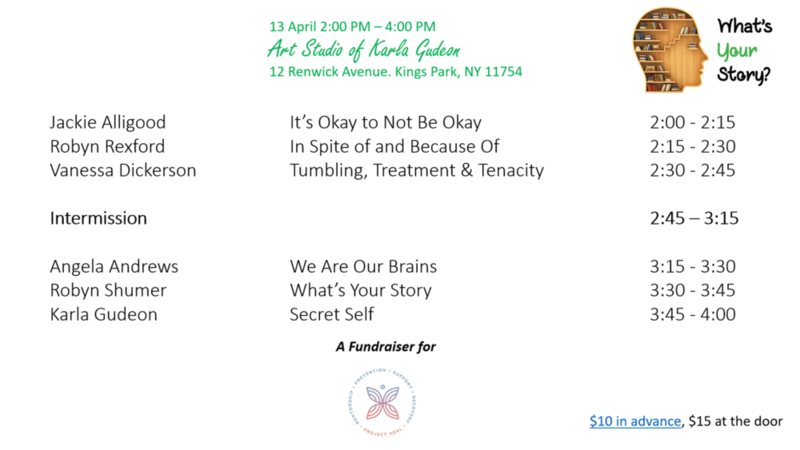 Save the date for an afternoon of storytelling at the studio of Karla Gudeon! We will be fundraising for Project HEAL.